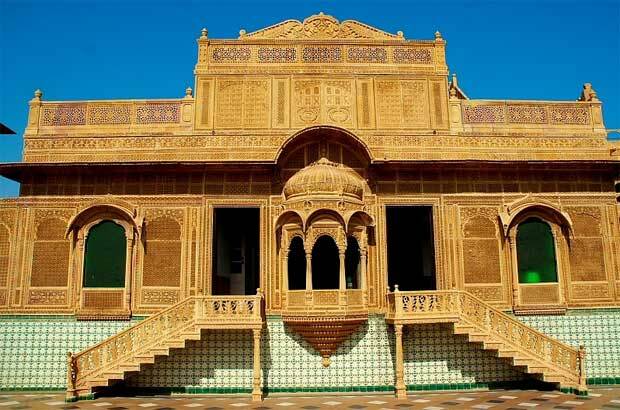 Located at the western part of the Rajasthan state this small town was once popular as a trade route and lost its position once the trade was shifted to sea route. 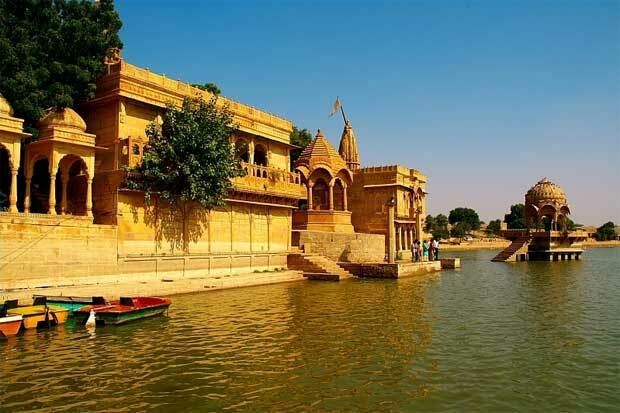 But Jaisalmer remained as a famous tourist destination of India for its unique town style, culture, forts and most important is for its Thar Desert. 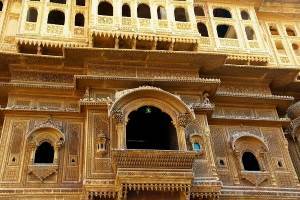 Jaialmer gives a look of golden color along with its fort so this town is known as golden town of Rajasthan. 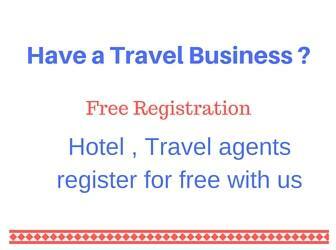 As per the colors, Jaipur is known as Pink city and Jodhpur is known as blue city of Rajasthan. From the railway station the Jaisalmer fort is visible and to justify its name as golden town, the railway station , parks , road junctions are made with yellow sand stone and it gives a unique look to the town. As this town is very close to Indian border so one can find the presence of Indian Army personals and their vehicles inside the town. There is a Air force base near the Jaisalmer so you will find fighter plans taking up and landing here. 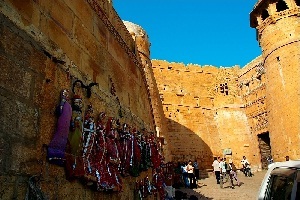 Hanuman chowk is the important town center of Jaisalmer. To collect precious rain water this tank was constructed by Rawal Gadsi Singh in the year 1367. At present Gadisagar ( Also known as Gadisar) tank gets water from Indira Gandhi Canal so it never dries. There are nice designed temples and shrines located by the side of the Gadi Sagar lake. At the center there is a big domed pavilion. Boating facility is available in this lake where charges vary from type of boat and based on duration of boating. Sikaras are also available to go around the lake. Tilon Ki Pool is a beautifully carved gate way to the Gadisagar Lake. This was constructed by a renowned singer of the nearby area. This was converted to a temple by installing a statue of Lord Satya Narain ( Krishan ) to save the construction from the angry princess of royal house as the singer was close to the prince. This is the present residence of erstwhile royal family. Part of this palace is used as a restaurant and hotel. This is a beautiful carved palace with many attractive galleries and paintings. There is an entry fee of Rs 10 to enter into the visitors area. Private area and the restaurant is not allowed for the visitors to enter. At the top of the building the picture of Jaisalmer fort and town is visible. 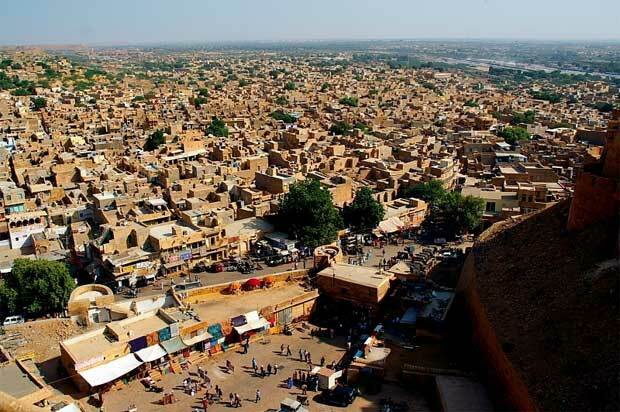 Ludarva is the ancient capital of Jaisalmer. 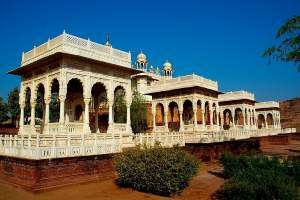 Located at a distance of 16 KM from Jaisalmer town has some beautiful Jain temples. There is a nice carved ornamental gateway or Toran. This place has its link to the folk story of Moomal and Mahendra. This is a single person effort for more thatn a decade to keep alive one of India's oldest cultural events by a person named Mr M.K. Sharma. The show is organized daily in the from 6.30pm onwards till 8.30 pm in the Desert Folklore Museum on the road opposite to the lane towards Gadi Sagar Lake. 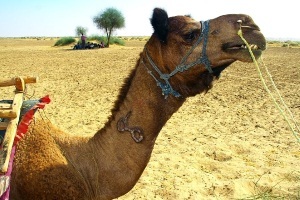 The show depicts the daily simple lifesyles of the common people of Jaisalmer, their struggle, their satisfaction with simple things in life, their history, etc. There is a wood fossil park at Aakal. It is a proof that water once flowed over this region before it became dry. Jaisalmer is connected to Delhi and other Rajasthan cities by Indian railway network. However being an end point of the rail map, all the trains' passes through Jodhpur. There is a direct train to Delhi from Jaisalmer. Passenger and express trains are there between Jodhpur and Jaisalmer. From Jodhpur there are many trains to different parts of the country. 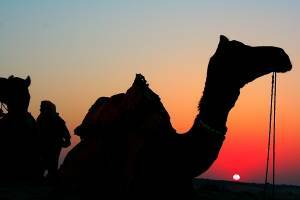 i want to go to jaisalmer alongwith my wife during winter.can you guide me and let me know how to go ther by rail and about accomodation.